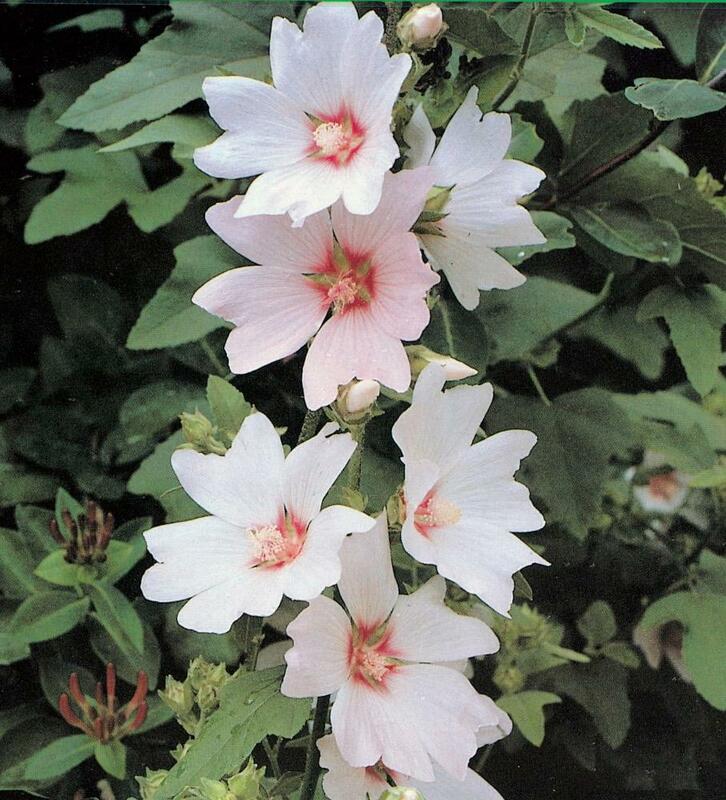 New dwarf form with unending large white flowers blush pale pink and a red eye, all summer long. Upright habit, excellent for the smaller garden or in containers. 1m tall. Sun and good drainage. Cut down in spring after frosts.